Three years hard work has finally come to fruition. Our relocation to a site adjacent to the Dixie Grammar School Playing Fields on Barton Road is now completed. We have been using the facilities since May and have run a full programme of activities over the summer. Our two open days attracted over 200 people and our membership has virtually doubled since last year. The official opening performed by Dean Richards (Leicester Tigers Director of Rugby), took place on 16th August to which all our sponsors,grant aiders and helpers were invited. We were also presented with a cheque for �187,619 from Sport England Lottery Fund. 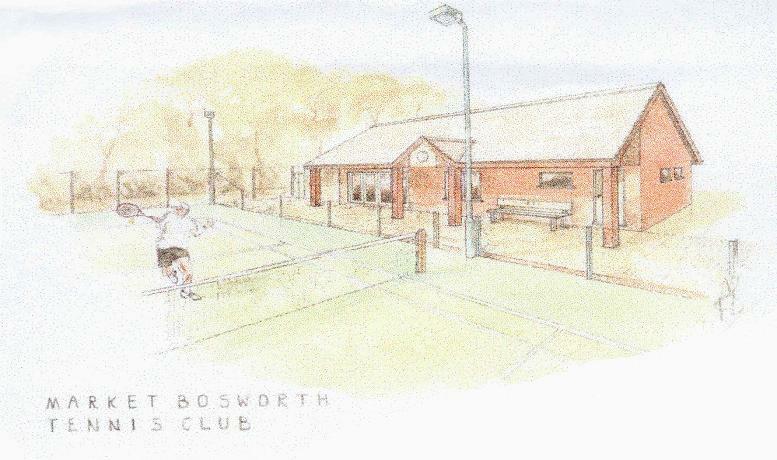 We all very excited about the new club and would like to thank our New Courts Committee of Helen Buckingham (chair and finance), Pete Bowman (building project manager), Richard Moody (legal)and Sue Bowman (secretary).It has been very much a team effort, with working parties lead by Geoff Madders to clear the site and a lot of hard work by the fund raising committee lead by Griselda Hargreaves. Club member Paul Ransom's company Antone Interior Design have been responsible for the kitchen and clubroom decor.